About six months ago I experienced a crisis of confidence. To be honest this isn’t unusual. I’m pretty sure writers have these on a semi-regular basis. I have a theory that if you can limit them to one a month, you’re doing pretty well. I was probably doing something unhelpful like reading a bad review or feeling that everyone else had a bestseller/better cover/twelve-book deal for a squillion pounds and that basically everything I wrote was a waste of good memory space (the eBook writer’s equivalent of ink in case you’re wondering). Of course, what you need to do when you’re feeling like this is either drink copious amounts of gin, give yourself a sharp talking-to or phone your editor. Happily for my liver and self-esteem, I chose the third option. I have been very lucky with my writing career to date and it’s largely because of my editors. A relationship with an editor is unique. It has to be close but not too close, you have to be able to pour out your soul to them and not be offended when they point out your failings. They need to help steer you on a constant path and offer up some tough love when it’s needed. I asked my editor if I should undertake some kind of course to help refine my style and hone the craft. I had just finished my third book and knew that I was improving with every novel I wrote. However for me, writing is a journey and to use the London to Inverness train line as a metaphor, I had just reached Stevenage. There’s a long way to go and I want to get better at this, ‘words on a page’ lark. She smiled. It was the smile of a favourite teacher – all-knowing, never patronising. I sat up straighter in my seat, ready to receive the truth. ‘You’ve read On Writing, haven’t you?’ she asked. And you know what? She’s right. 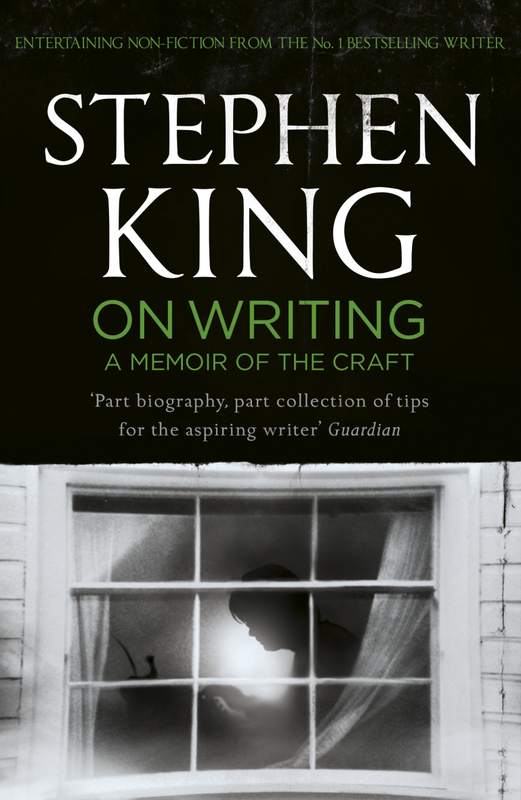 I’m not writing off (hur hur) courses or groups or any of that good stuff but if you need a friend to lay it on the line as far as writing is concerned, Stephen King is your man. I recommend this book to everyone because it’s a mighty fine book. It’s a bible for writers and it’s absolutely fascinating for anyone with a grain of interest in the written word. 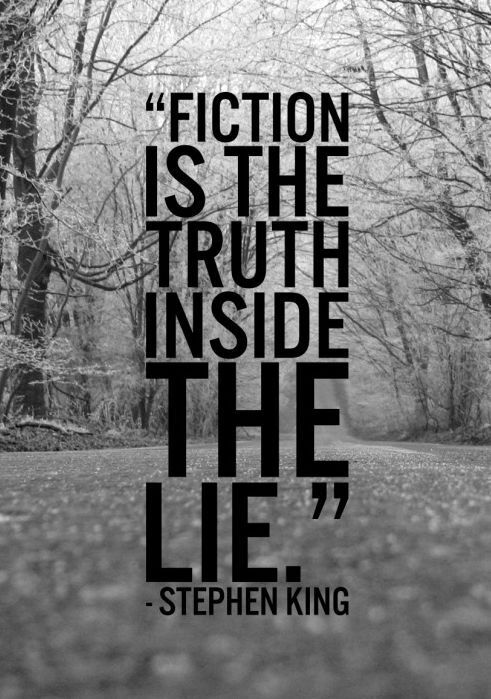 Stephen King and I occupy very different writing genres but as far as practical advice and insight goes, there is no finer teacher. However, the biggest reason I love this book and why I re-read it before I begin a new novel is because Stephen King takes no prisoners. I‘m a pretty direct person and I appreciate directness in others, provided I respect what they have to say. Needless to say, I respect Stephen King and all the advice he’s prepared to offer me. This book is the equivalent of your straight-talking, slightly edgy uncle who comes to visit from time to time. You’re a bit scared of him but fascinated too because he’s got magic in his bones and he used to take large quantities of drugs. It’s this edginess that inspires me. He talks about his muse as a guy in a basement, smoking cigars while he does all the work. This guy has a bag of magic called inspiration and he makes you work for it. Well my muse is Stephen King. He sits on my shoulder and oozes disappointment as I use another adverb (I could have written ‘ill-advisedly’ here but I resisted). He nods in silence as I edit out unnecessary words from my narrative and raises an eyebrow if I manage something good. I don’t always get it right. Who does? I am a typo-monkey and an adverb-junkie but I keep trying. I think that’s what he wants me to do. That’s all any writer can do. < Previous Can I share something with you? It is a good book and I must read it again, but sometimes you just have to use an adverb. There is nothing intrinsically wrong with adverbs. They are a part of speech and the world won’t come to an end if I stick one in a sentence.